The roots of a quadratic equation can be interpreted as the intercepts of the graph of a parabola. When the roots are complex, they cannot be located in such a way. This Demonstration illustrates a graphic way of locating those roots. 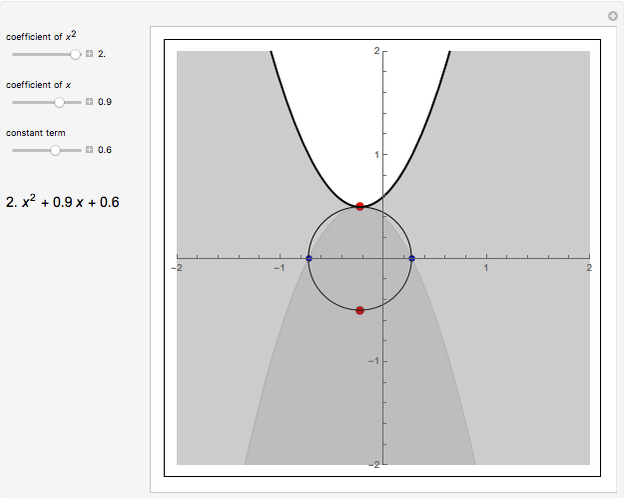 Plot the two roots of the corresponding parabola as red disks lying on the axis when they are real and on the complex plane when they are complex. In the latter case their positions can be found as follows. 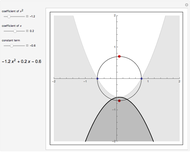 Reflect the parabola in the horizontal line tangent to its vertex. 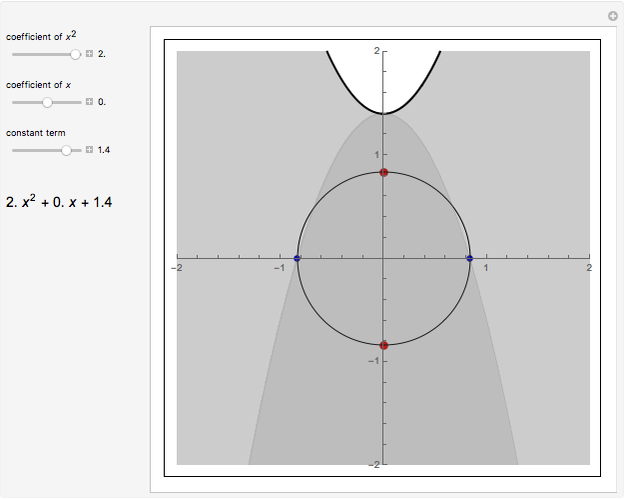 This parabola intersects the axis twice. 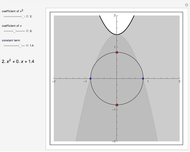 Construct the circle with diameter at these two intersections. The complex roots can be seen to be at the intersection of the circle and the axis of the parabola. Jaime Rangel-Mondragon "Locating the Complex Roots of a Quadratic Equation"